Just got an exciting news from a dear friend. Though it’s not surprising, but it really made us happy! She told me about her boyfriend’s intention of proposal and their marriage on May this year. Wow! Isn’t it sweet? They’ve been together for quite some time now, the guy is 30+ and my friend is turning 30 this March. That maybe the reason why the guy finally decided to settle things between them. 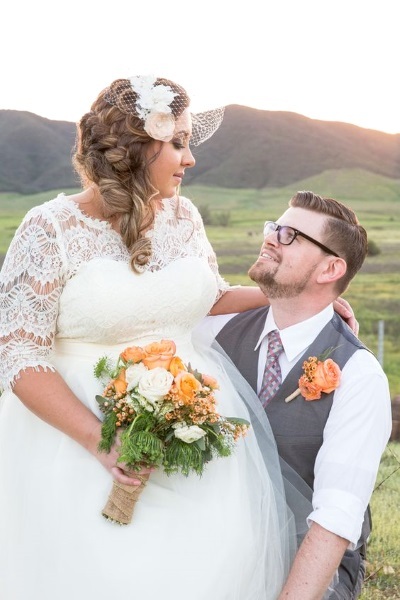 I am just so happy for both of them. We were talking about wedding stuffs that only the bride-to-be would usually think about. This and that, we wanted everything to turn out as how she had dream of it. Among all our cute conversations, we were really particular about something. Along with her good news, she asked me if I could be one of her bridesmaid. She really need not to ask, it’s a privilege to be a part of her chosen girls who would stay close to her during that special day of their union. 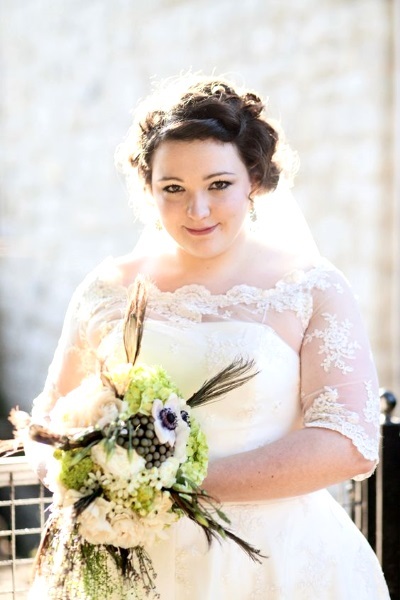 I didn’t like because I totally LOVE being her bridesmaid! 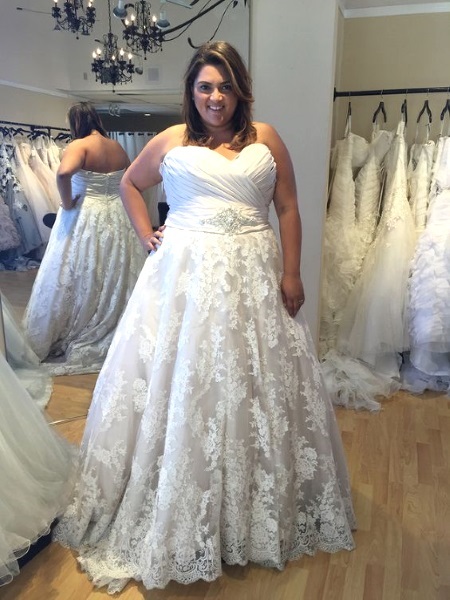 We were giggling and we agreed on one specific thing, we wanted her wedding gown and my bridesmaid gown to be just perfect for plus-sized ladies. 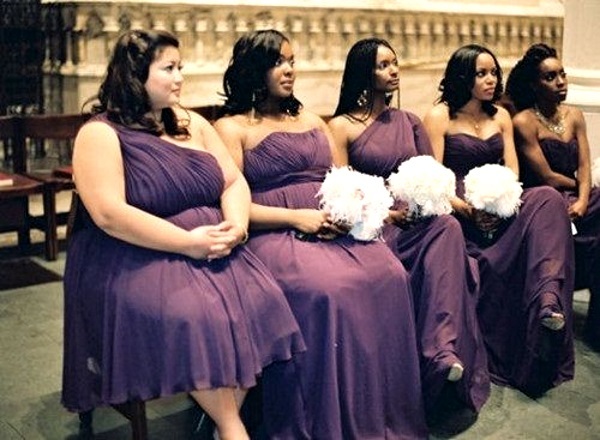 Oh yes, we are both large or maybe extra large girls, still we don’t wanna be dull looking on her wedding day. 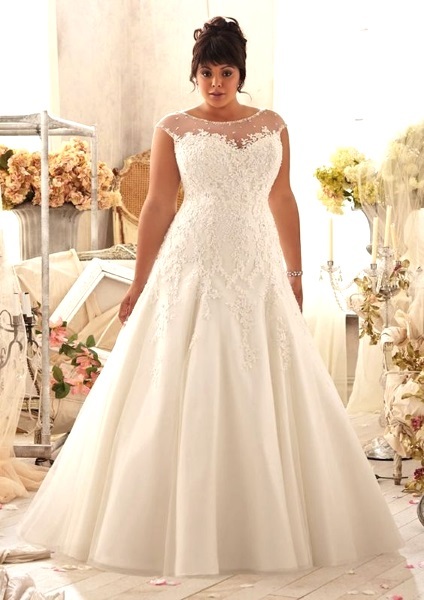 I promised her, I would search and collect the Best Plus Size Wedding Gowns online. I wanted her to be the prettiest face her husband-to-be would ever see that day and to forever. She couldn’t agree more and will just wait for the pictures I will be sending her. Geeez, we’re too excited already! 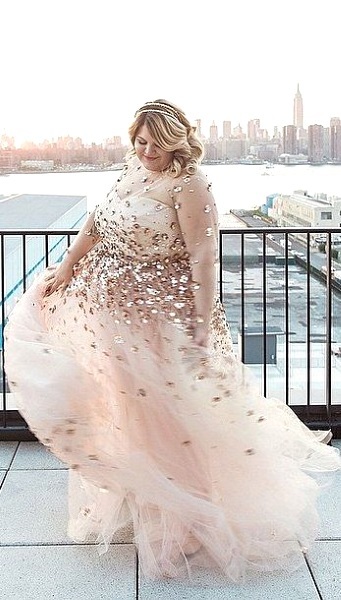 They said beauty has no size and I second the motion. 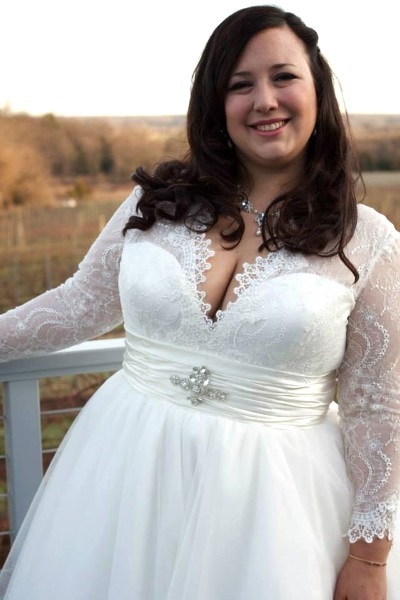 Though I know my friend is very attractive already, I bet she’ll knock her boyfriend off his knees when he sees her walking down the aisle wearing her perfect wedding dress. I’m on with my search and if you’re looking for the same thing, glad you found this page. Browse on dear chubby online sisters! Make sure you’re sharing them on Facebook, Twitter, Instagram, Pinterest or email your circle of bubbly girlfriends. 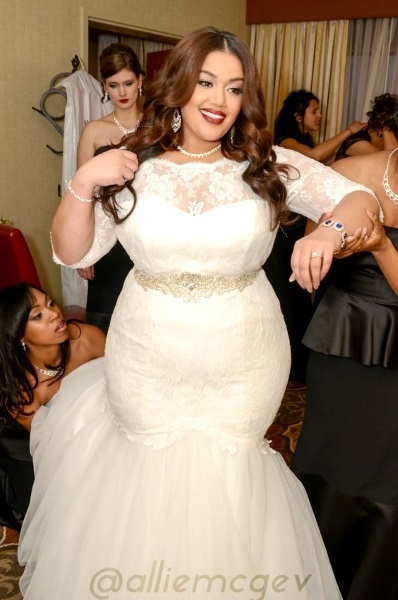 No doubt, this is one of the prettiest plus size beauties I’ve ever seen! 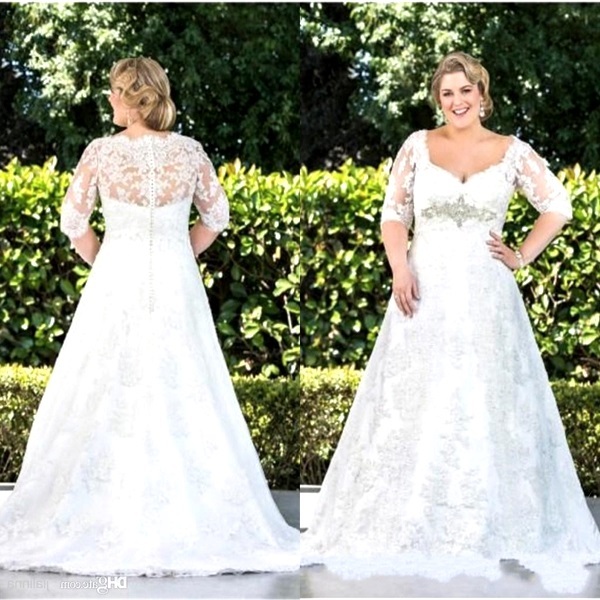 This are wedding gowns that are ideal for civil weddings or if you just want everything simple and not too grand, these are the pretty gowns for you. Some are also ideal for garden weddings, beach weddings or weddings to be held on a restaurant. These are usually without too much beads or laces, but still very pretty. 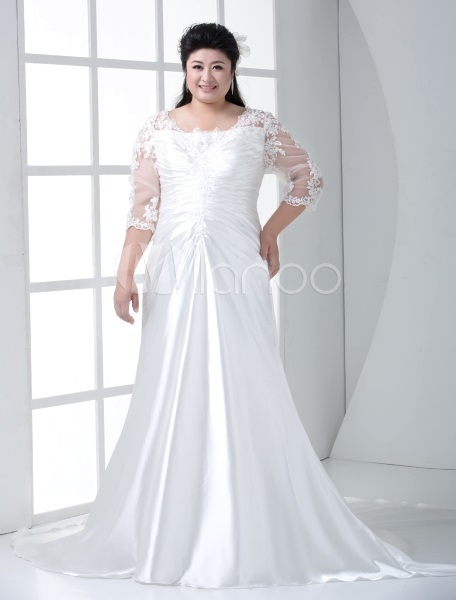 Some are just annoy with long sleeves and would rather go for short sleeves or maybe sleeveless wedding gowns. Even if these are already short sleeves, the materials used were still laces, making the simple dresses very stylish. 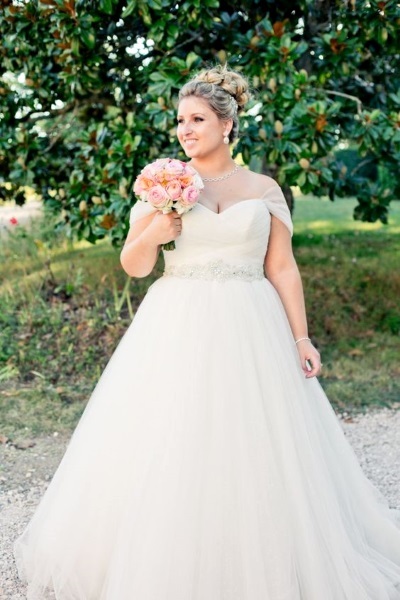 The trick with those hanging beads is to cover up more of the bride’s arms. 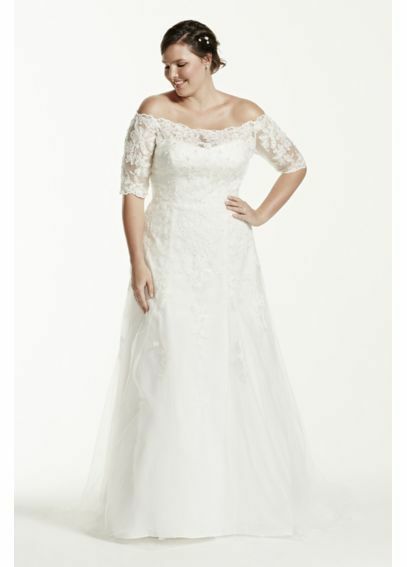 It’s either the design is with see-through lace or straps. For the conservative ladies up to now, who don’t want to show much skin and prefer to have long sleeves gown then these dresses are perfect for you. 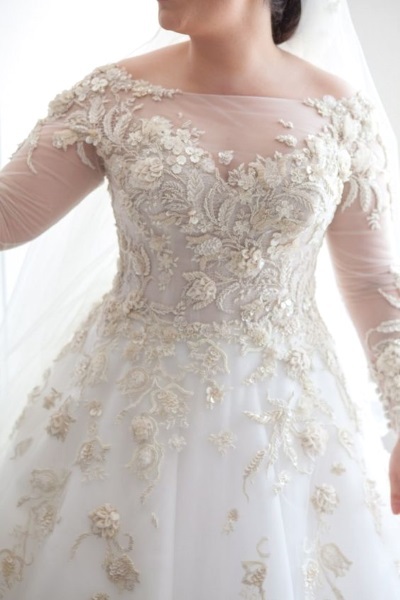 These days, the material used for the sleeves is lace or tulle which are very thin kind of fabric. I must say this is one of my most favorite in this collection. 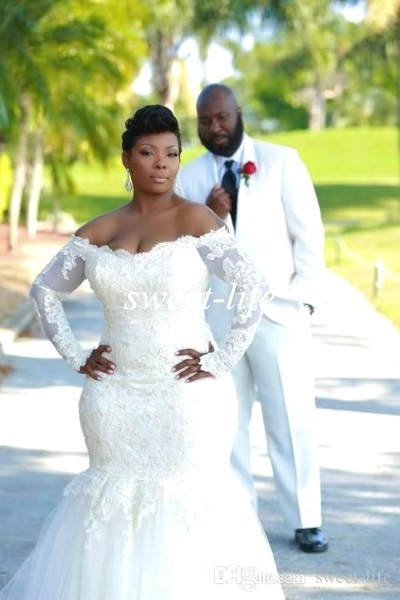 Look at how this dress emphasized her curves? 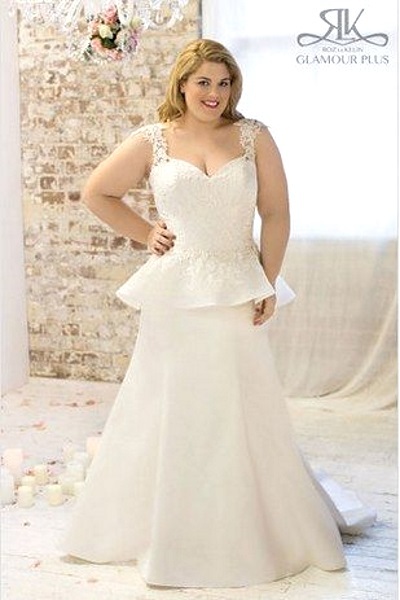 She doesn’t even look plus sized anymore. Oh how adorable. Looks like a plus sized Kim Kardashian you got there. 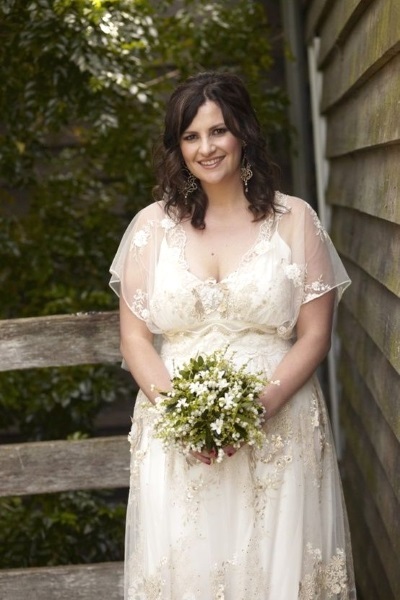 Loose long sleeves wedding gown for plus size bride-to-be. 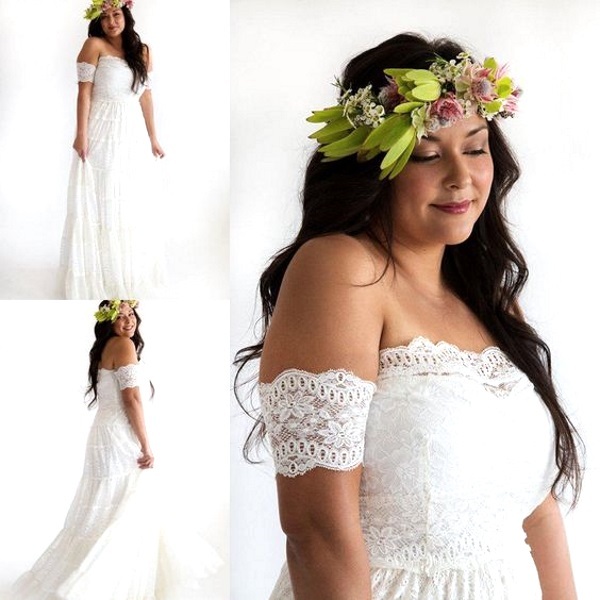 Long sleeves are usually made prettier with bead works and laces. Here are few close up photos. Look at that awesome embroideries! 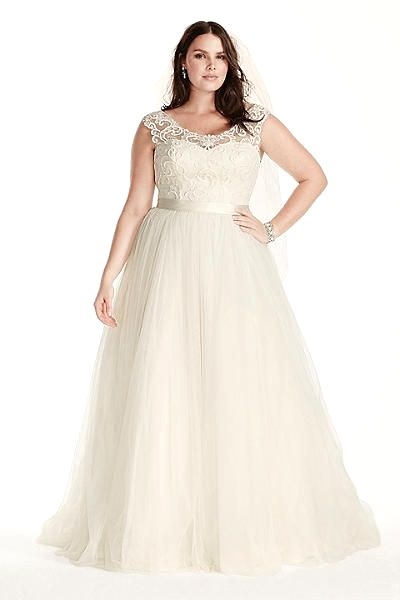 Any girl would wish to wear a pretty gown as this, I believe! 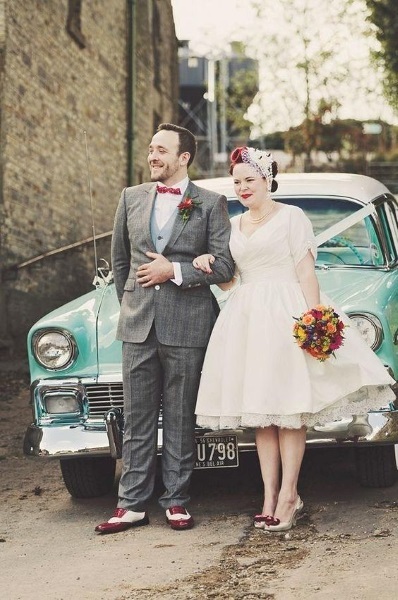 Loving these vintage wedding gowns that are perfect for sentimental old souls. 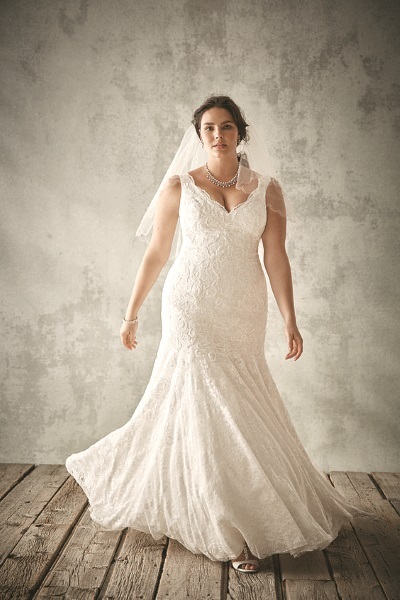 Most of the time, these are the most Elegant Wedding gowns too. 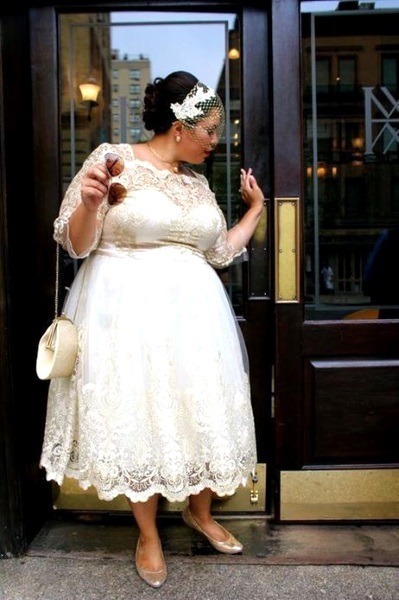 These are for the most confident plus size ladies who could both beautiful and daring on their wedding day. It’s either you show off your cleavage, wear a high-slit gown or backless. So, are you in? 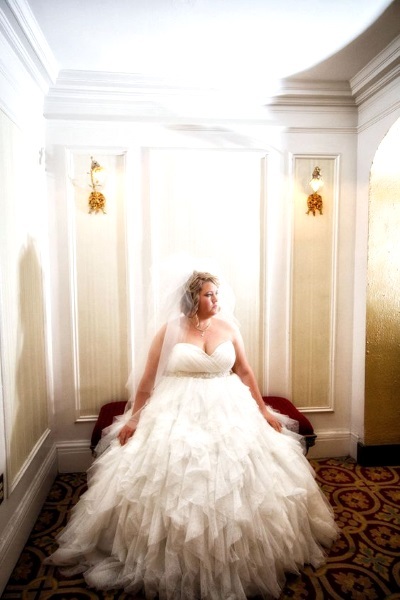 Look at this glittering Elegant Plus Size Wedding Dress. Ohhh lala! 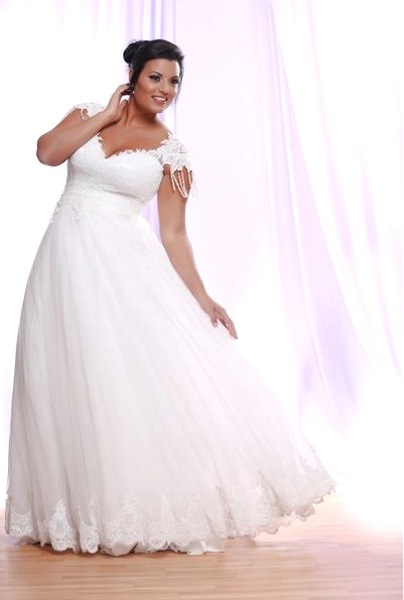 Here’s to a fairy tale princess plus size wedding gown idea. 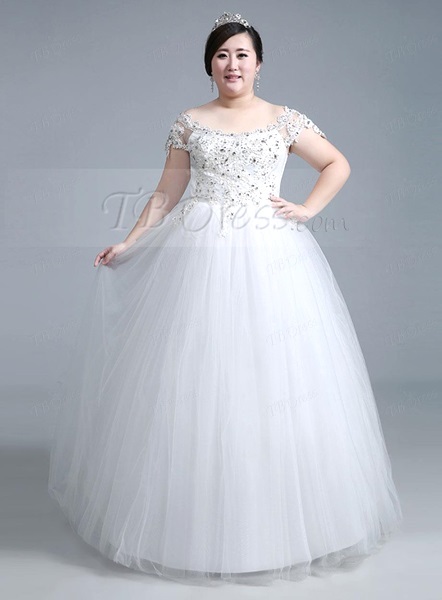 Large as we can be, we also dream to look pretty beside our prince charming right? 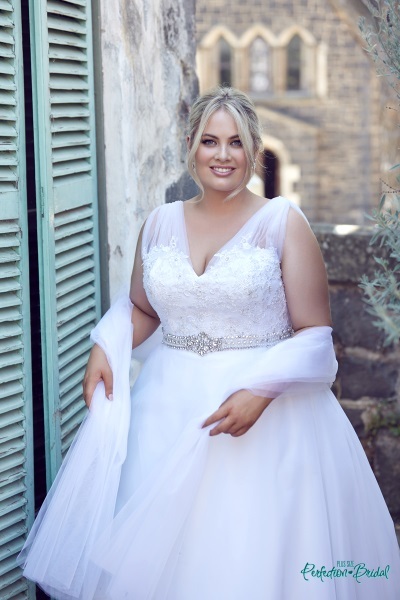 Whether you’re slim or fat on your wedding day, whether you’re all covered or showing some skin- it doesn’t really matter just as long as you’re secured that you’re husband-to-be has his eyes all set on you. That you are the prettiest face she’ll ever wanna see among the sea of many faces. 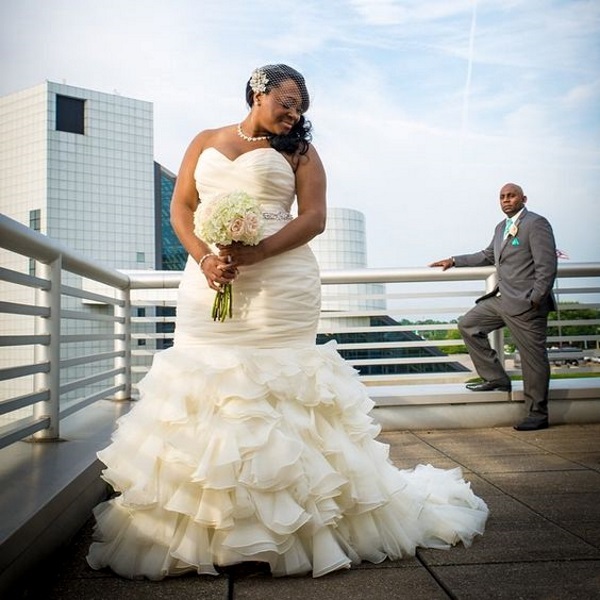 I really can’t wait for that day, to see my friend and her boyfriend exchange wedding vows and finally tie the knot. 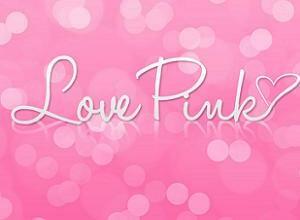 Indeed an event to look forward this year for us. I hope you enjoyed the photos above. 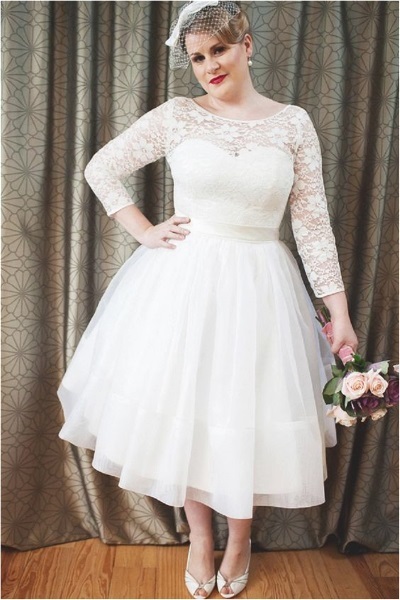 We’ve picked only the best because even every girl deserves to wear the kind of wedding down she dreams of. 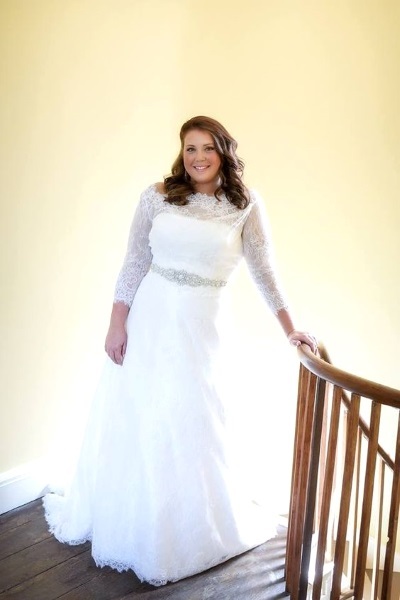 Be happy, confident and stay in love dear future plus-size wives!